Choose finishes appropriate for the Facility Group and operations; wood finishes may be used in Facility Groups 1, 2, and 4. 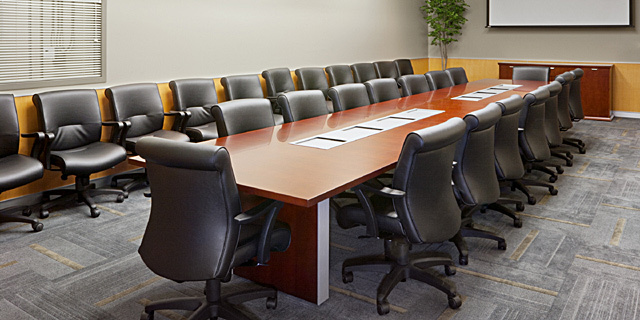 Wood veneers may be used for tabletops in Facility Groups 1 or 2 conference rooms and offices. 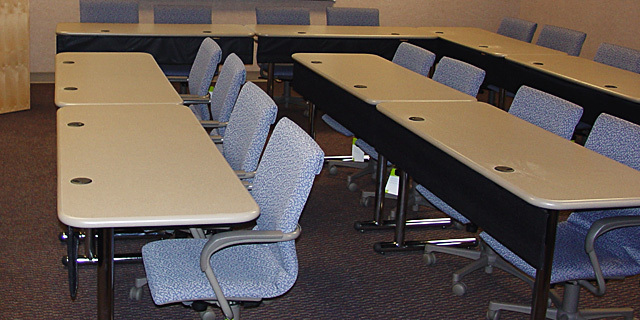 Provide highly durable materials and finishes; use laminate tops with vinyl or wood edges or solid polymer surfaces in high-use applications. 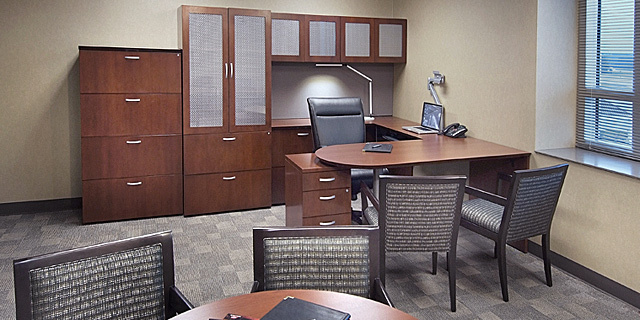 For administrative spaces limit free-standing furniture to private offices or senior office suites. 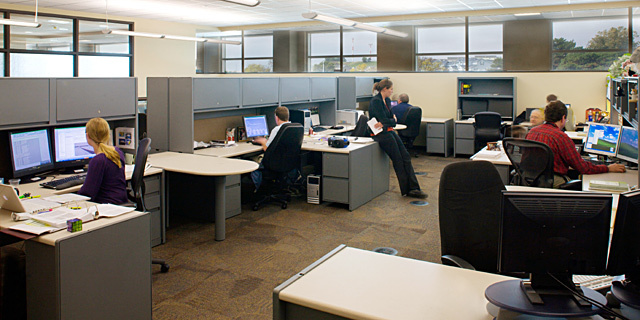 Select wood or laminate furniture, suited to the user’s job function. 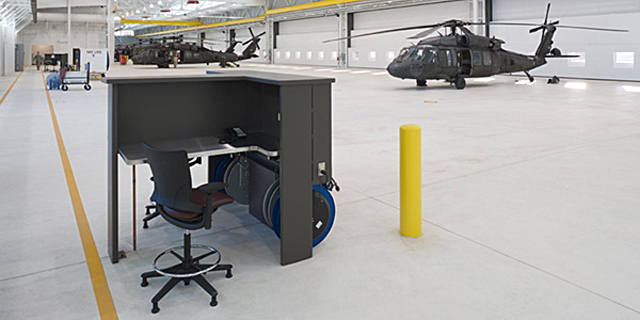 Accommodate work-related storage and desk space, equipment hardware and cabling. Select furniture and repetitive units to ensure flexibility; ensure components are interchangeable for greater adaptability to changes in interior layout. 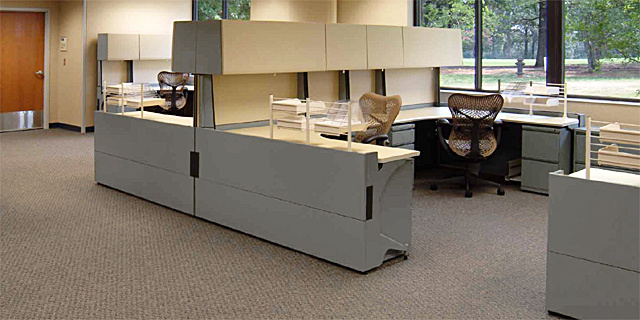 Use panel or desk-based systems furniture in all open office environments. 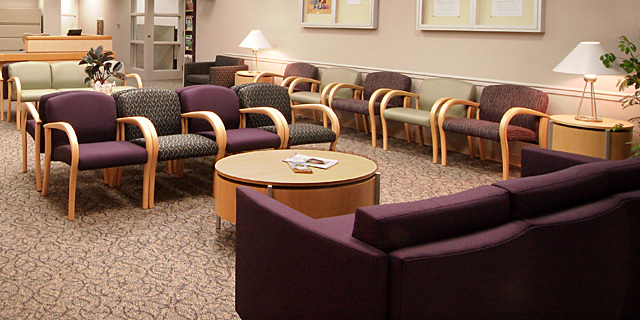 Select manufacturer’s standard products and finishes within a facility. 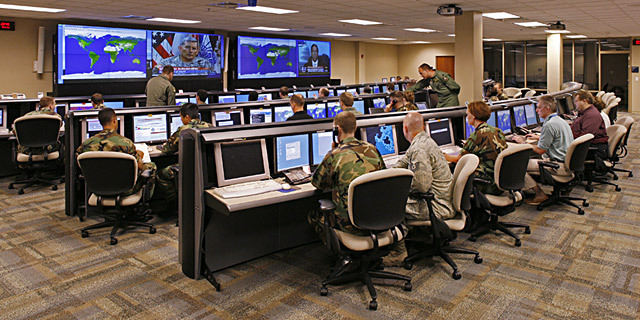 Develop team spaces to facilitate communication and create a sense of community while addressing privacy and enclosure. 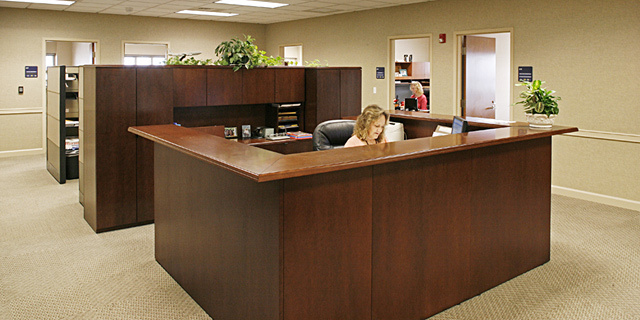 62-inch (nominal) or lower partitions are preferred except where doors are required. Ensure chairs are appropriate for the specific use and activity; provide pads or casters suitable for carpet or hard flooring.